A wedding film is something that you can have to cherish and remember your big day forever. You can share it with your children and grandchildren, so making sure it’s of the highest quality is key. Timeless Bride and Ink is the best wedding videographer in Texas. This company works with the couple closely to ensure their love story is being told through the film. They will capture the first time you see each other, the emotional words of your friends and family and the dancing afterwards. Filming your wedding day is something that 224 Films takes very seriously. This company knows how precious these memories are going to be which is why they work to create a romantic video that is true to the spirit of the event. With a list of their services and rates, you can be sure that you are getting the services you need and aren’t paying for ones that you aren’t using. 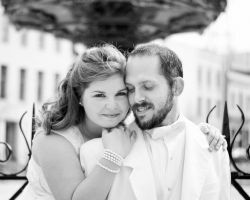 They specialize in capturing weddings making them the best option for your big day. Reviews can tell you a lot about a wedding vendor and about how they work with their clients, but awards and accolades can tell you about the quality of work and talent of the vendor. Citywest Video & Streaming Media is an award winning videography company in Texas that has been recognized for their talents behind the lens and in the editing room. This certainly means that you can trust them to produce a high-quality wedding video for your big day. Some El Paso wedding videographers lay out their packages so that their customers end up paying for services they would never use, but Cre8ive Wedding Films has packages that are simple and can be customized to suit any client. It is clear from the previous videos they have shot that they have a romantic and intimate style of shooting. Their most popular package includes 2 cinematographers who cover the event for 7 hours. With a 10-15 minute wedding movie as the result, you will have everything you need. You only have one wedding day; so making it special is a must. Me & Thee Photography can capture the entire thing from beginning to end with all of the romance and excitement of the day. This company does photography and videography for affordable prices. Whether you have a birthday, wedding, reunion, or any other kind of celebration, this company can film the entire thing to perfection. You will have a beautifully edited video to remember and relive the celebration for many years to come. 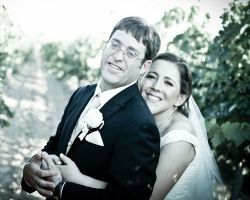 Hdez Studio is one of the top wedding videographers in El Paso, TX. This is evident in their popularity and talent. This company is made up of professionals who know what they are doing behind the lens and in the editing process. Each video they produce is unique and customized for the client. For weddings, they are able to shoot the day and then edit together the most romantic and special moments into a short wedding film that you will be able to watch for the rest of your lives. Since 1989, Sunset 825 has been capturing weddings through photography and videography. Since the company was established, the talents of the artists have grown, as has their personal style. It is clear through the images and films they take that they tell a story with their work. The images and films are taken and edited so you can relive the most beautiful and precious moments of your wedding day. Relive all of the excitement with images from the incomparable Sunset 825. Guzman Photography & Video is known for producing images and films that are true to their clients. There is no company more involved with your wedding than this one. Before the big day, you will discuss what you would like to get from them so they can best serve your needs. Then on your special day, you will hardly notice them as they do not interfere to get the images but simply blend into the background to get a real depiction of the day.